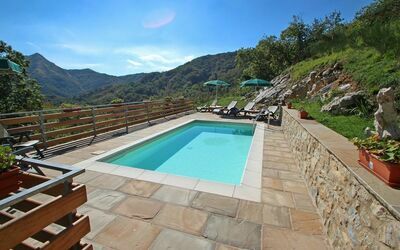 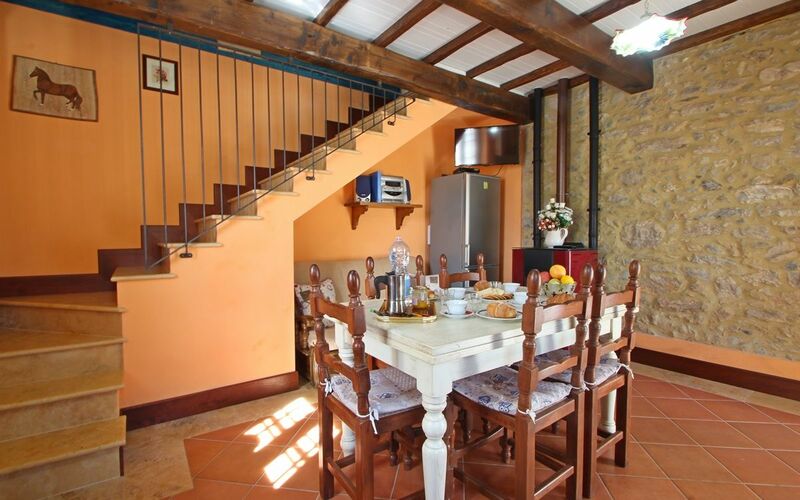 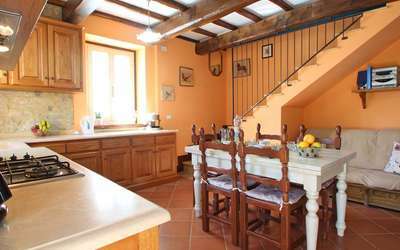 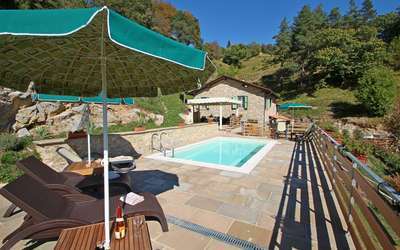 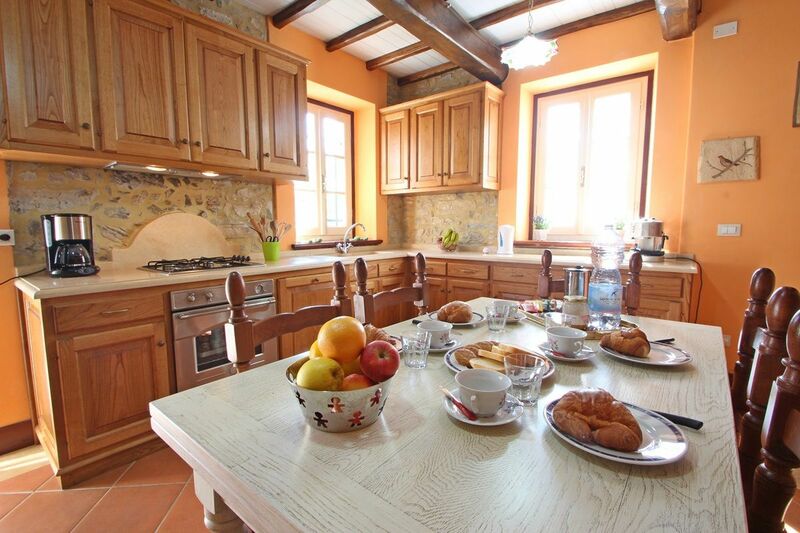 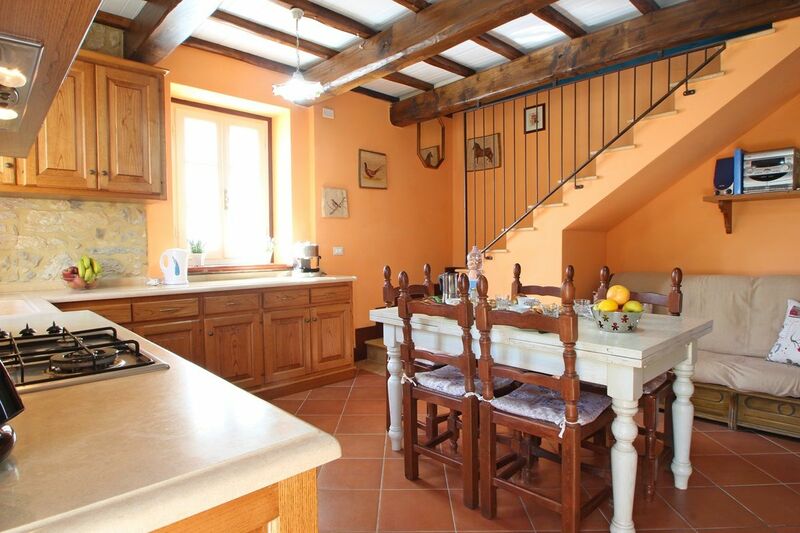 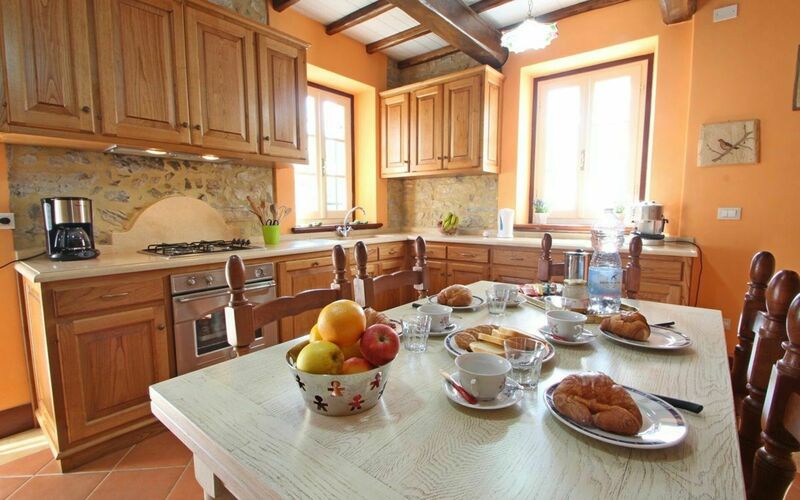 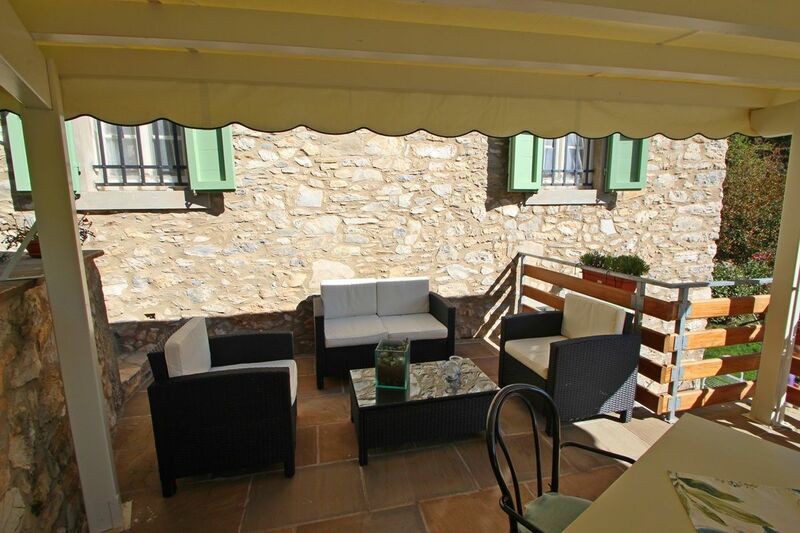 Holiday Home Casa Sara was recently renovated retaining its rustic feel with exposed stone on the inside and outside. 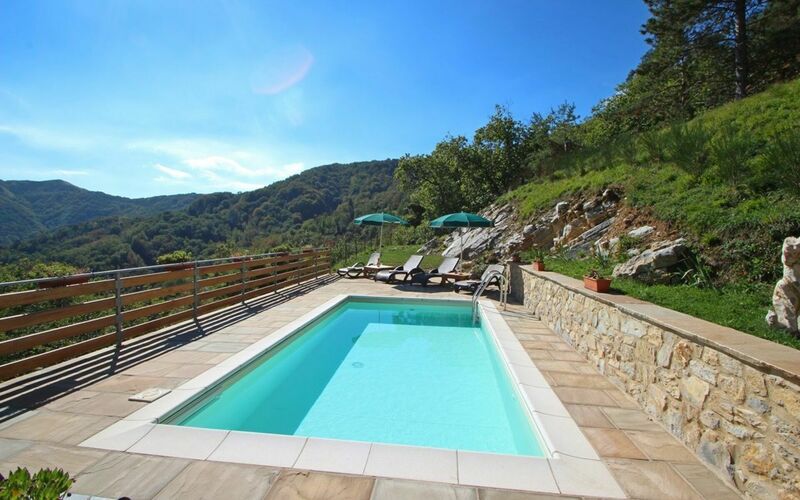 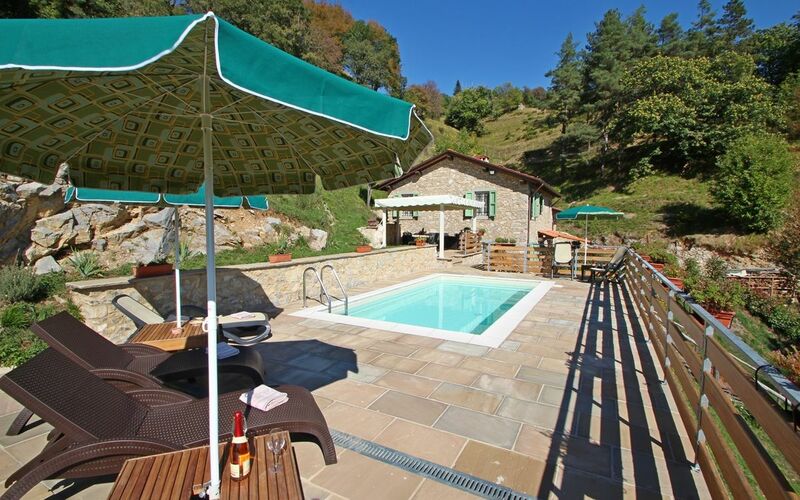 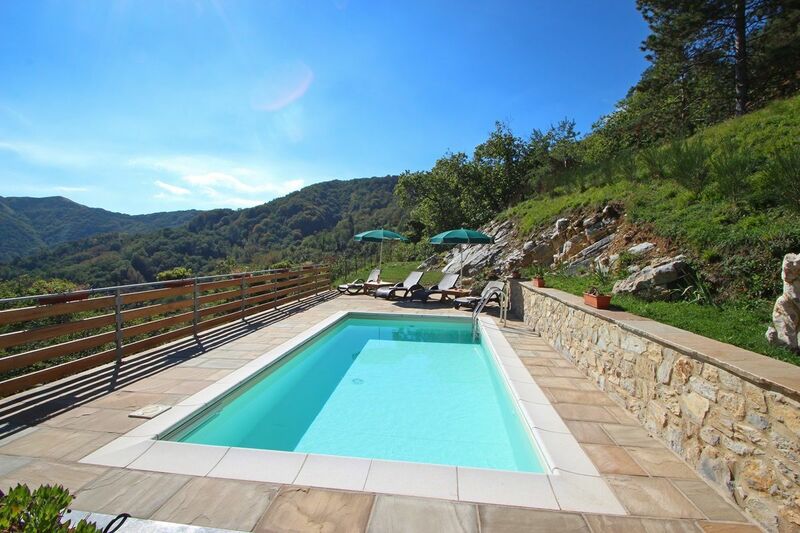 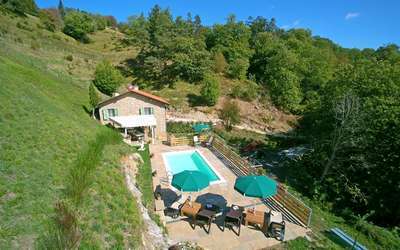 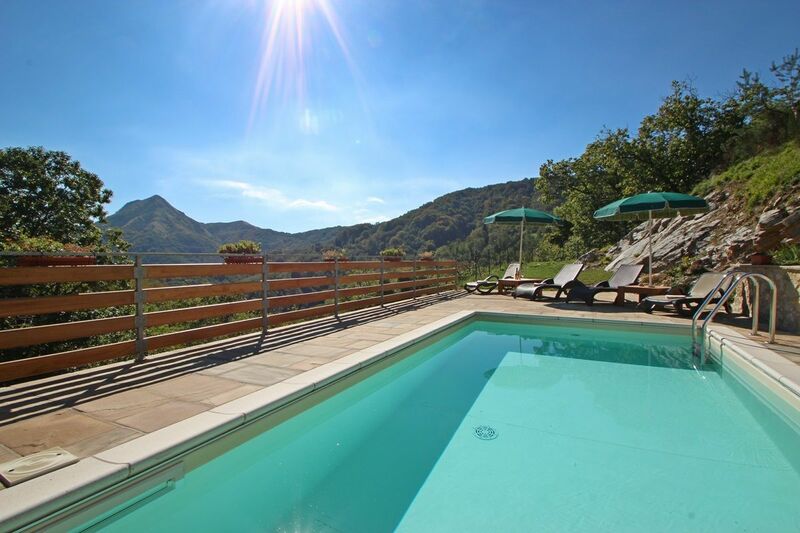 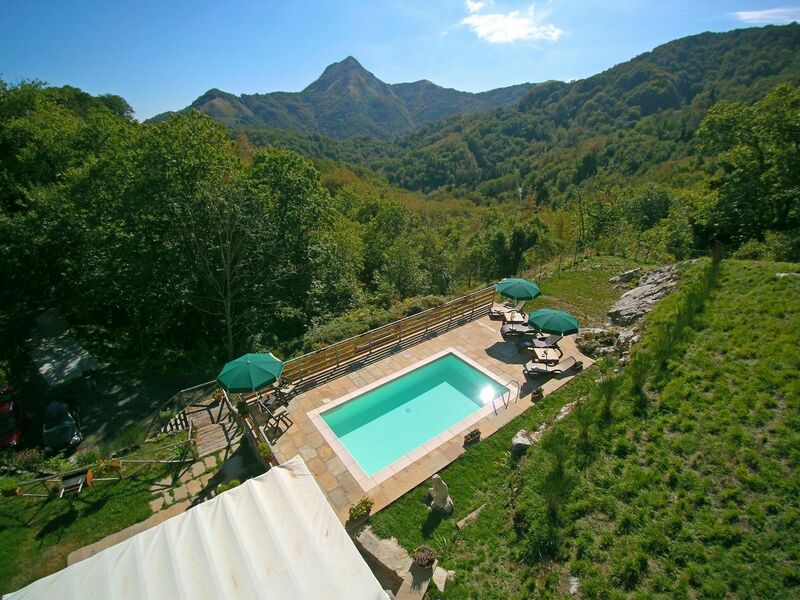 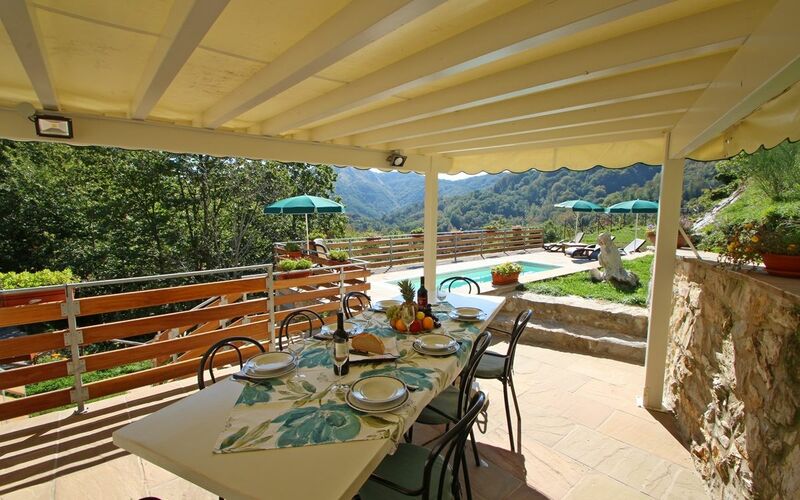 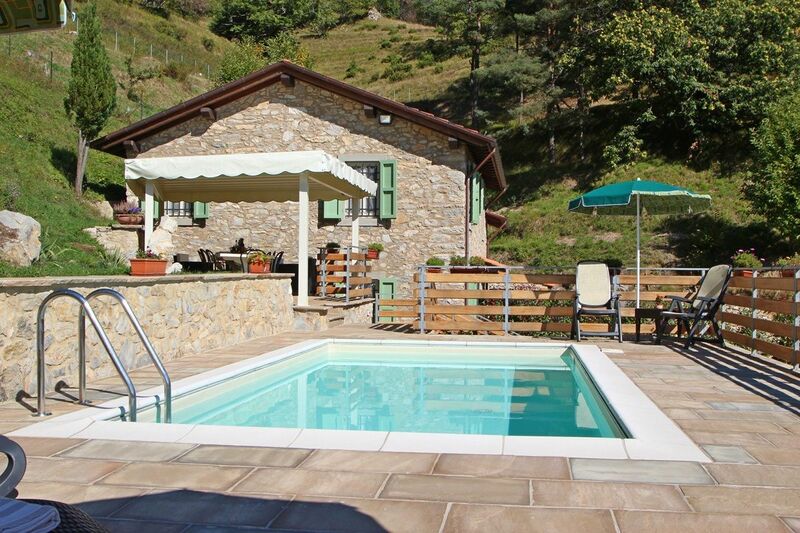 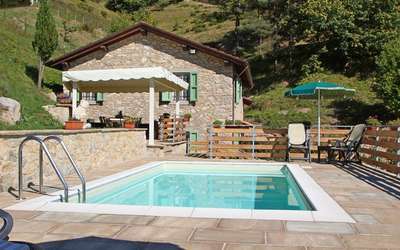 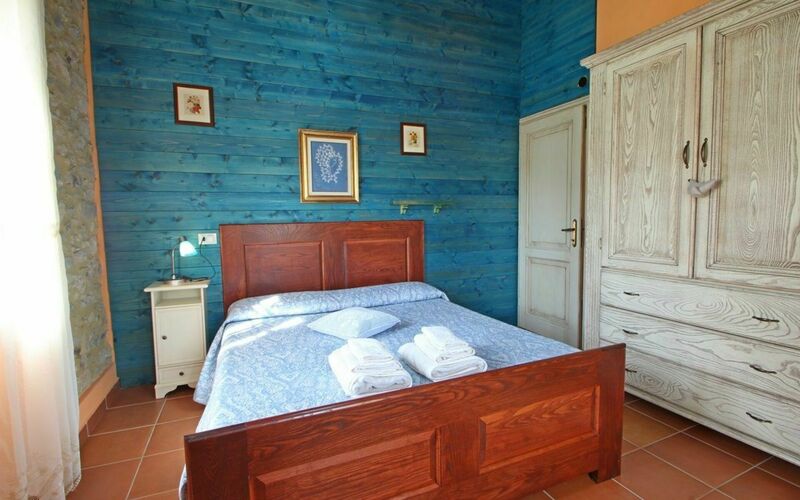 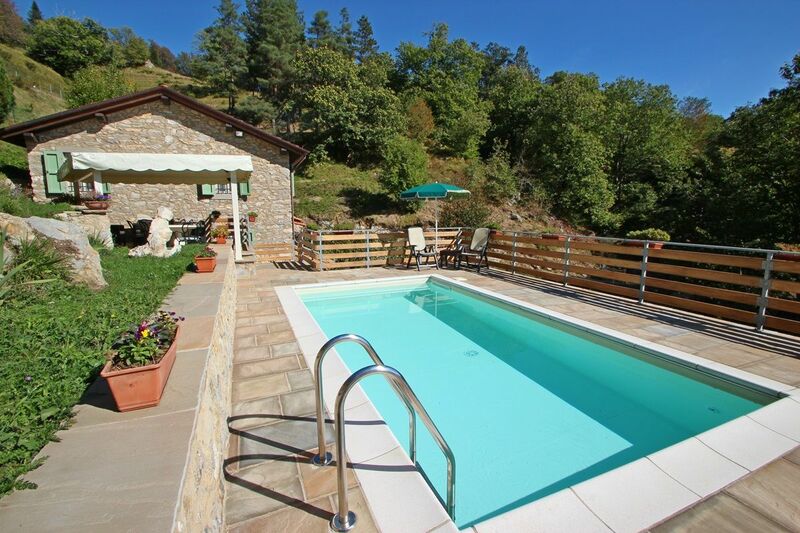 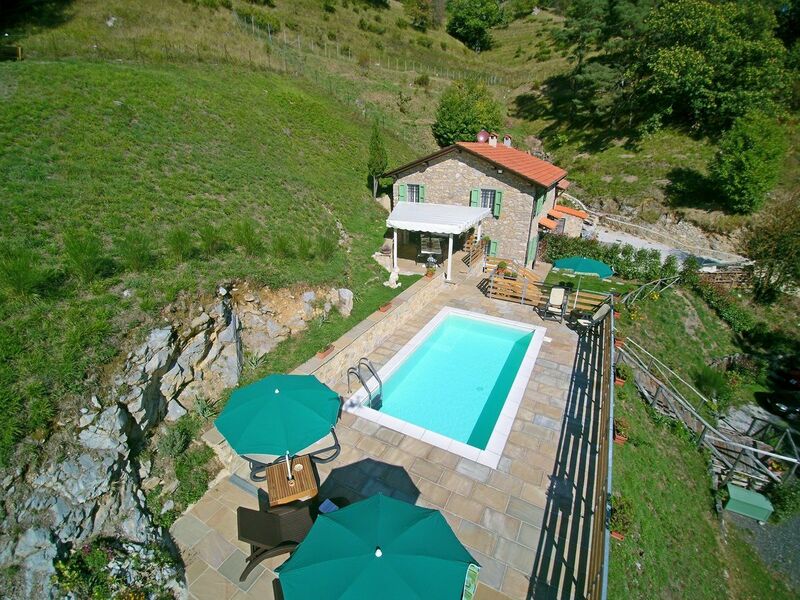 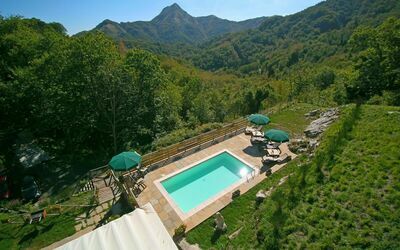 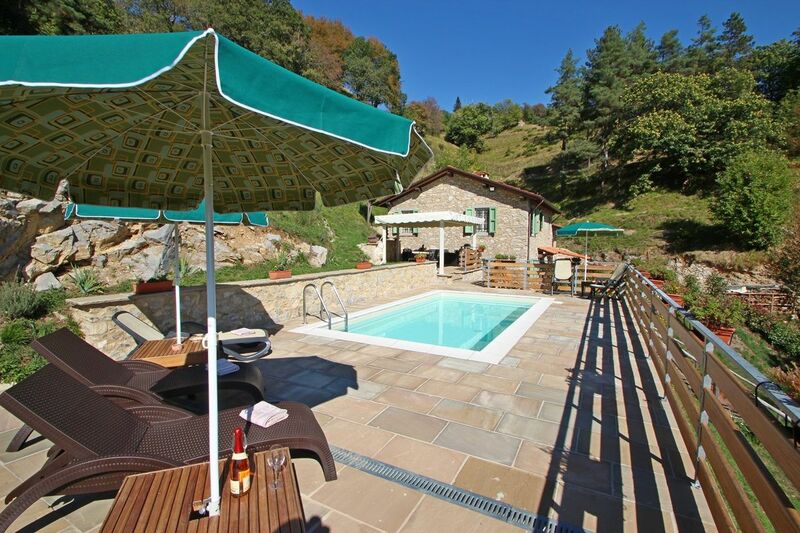 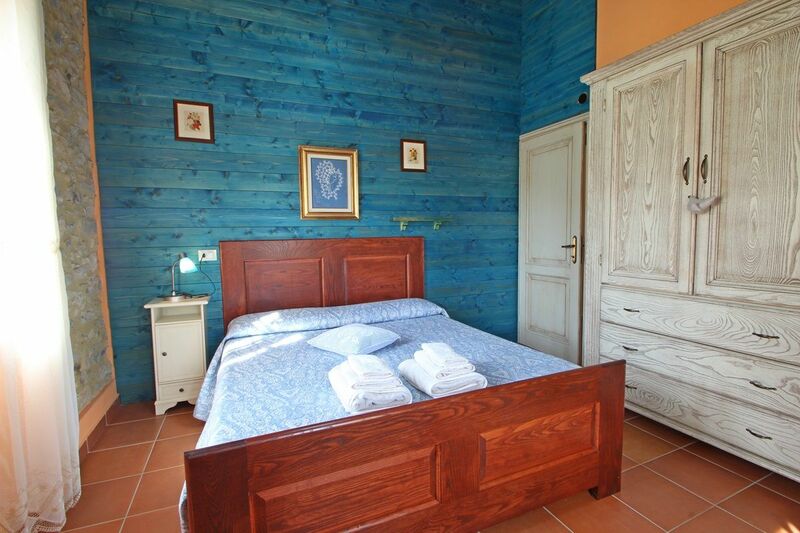 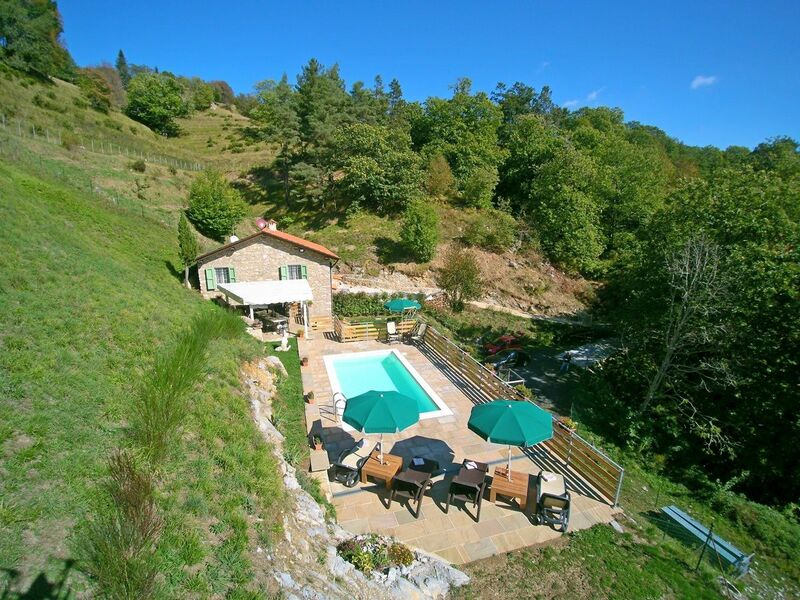 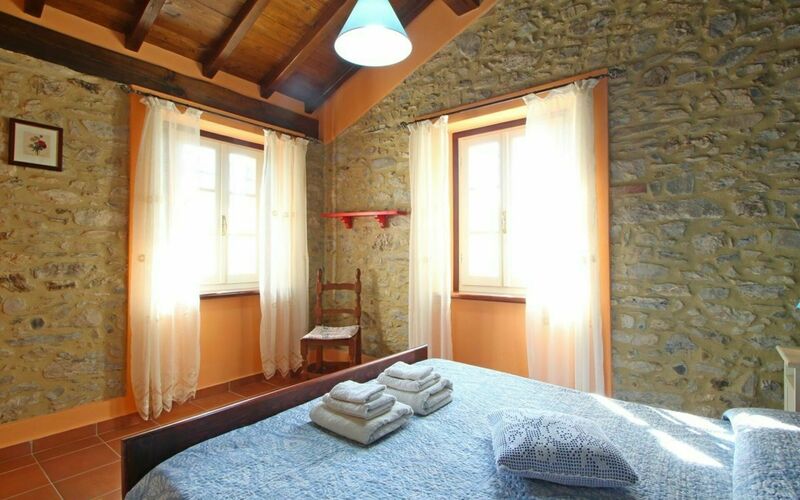 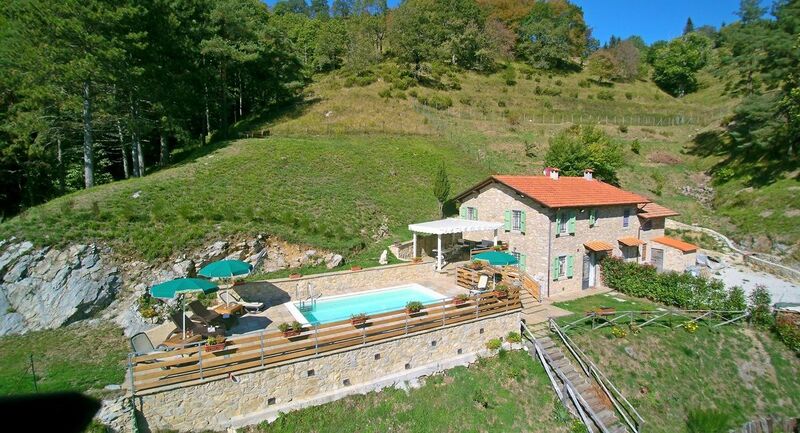 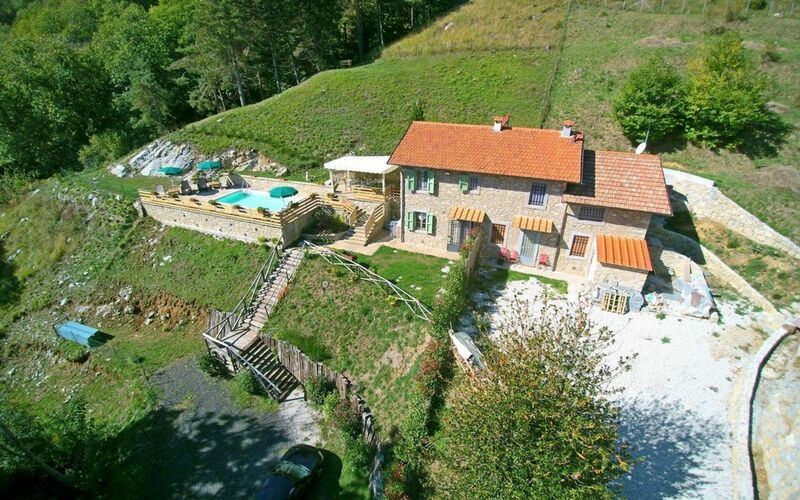 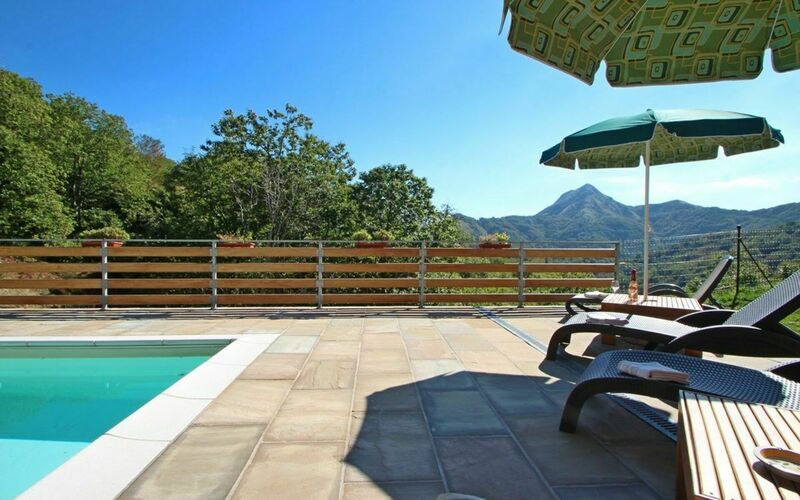 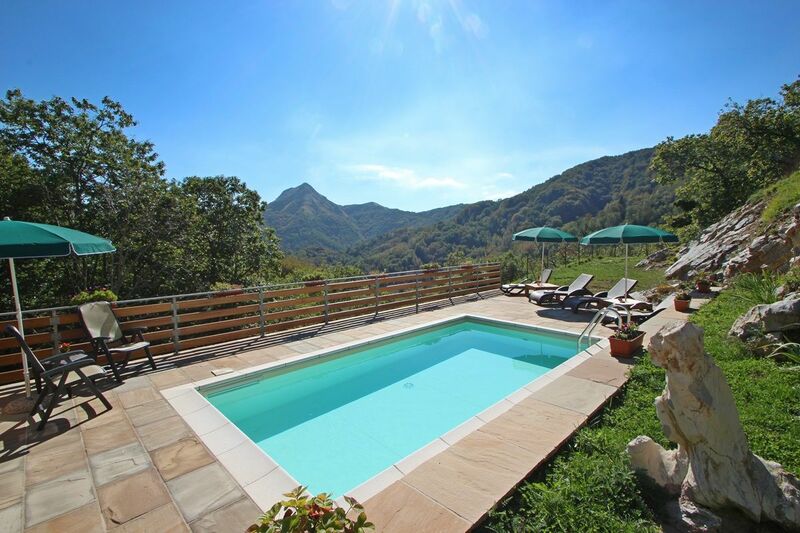 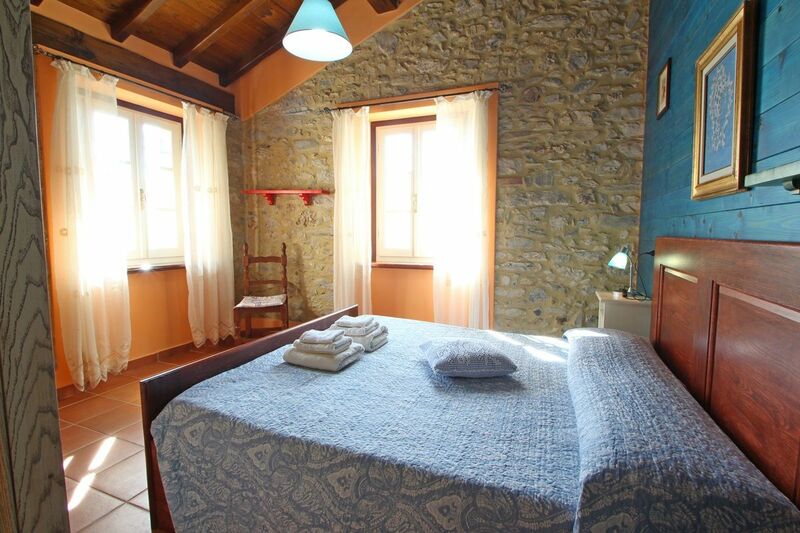 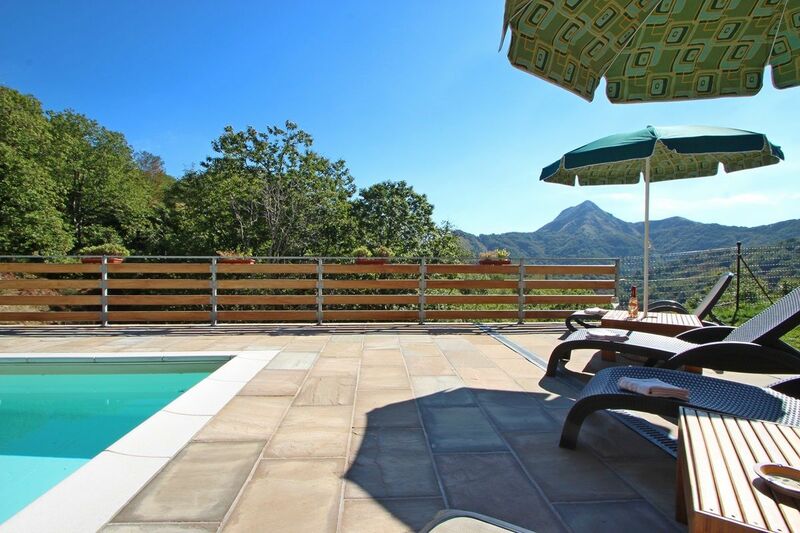 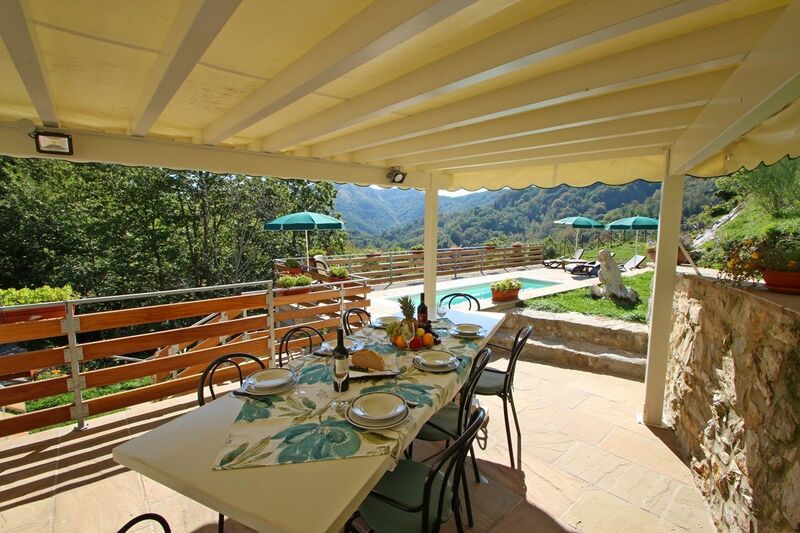 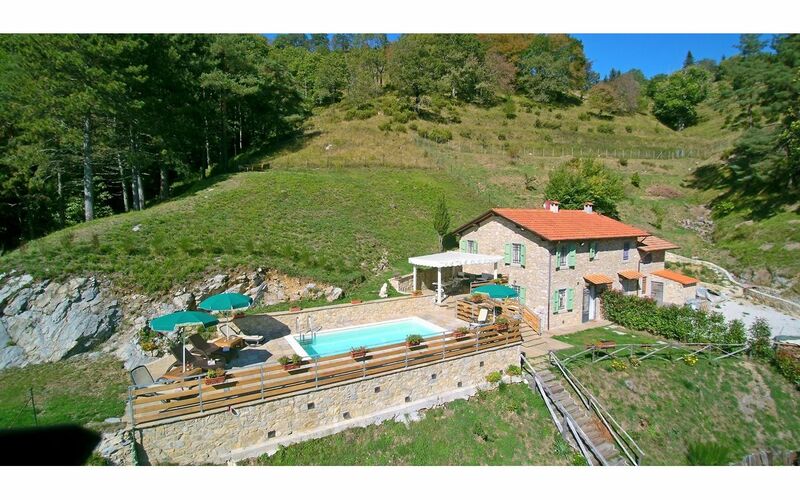 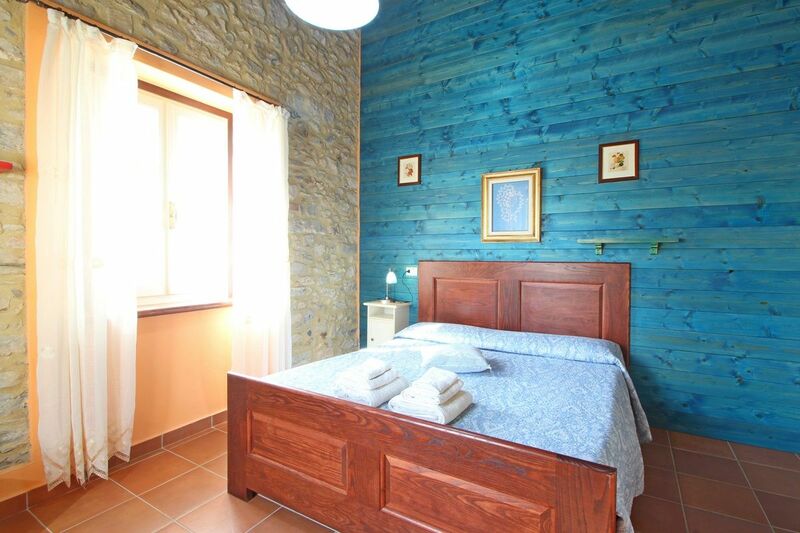 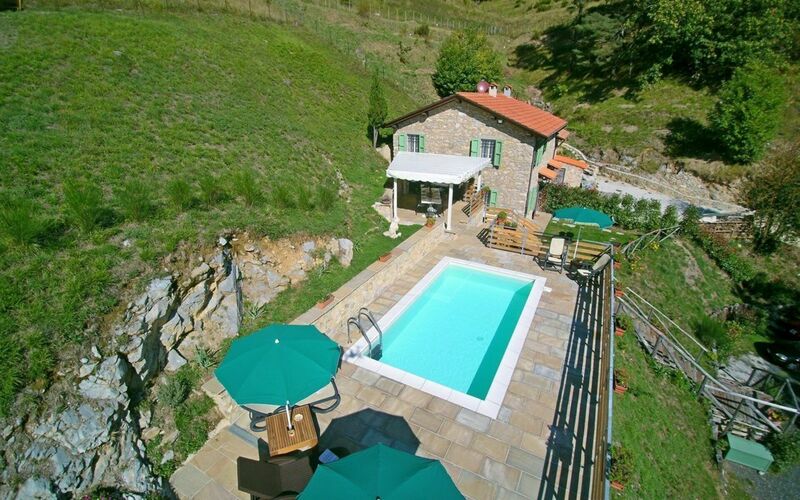 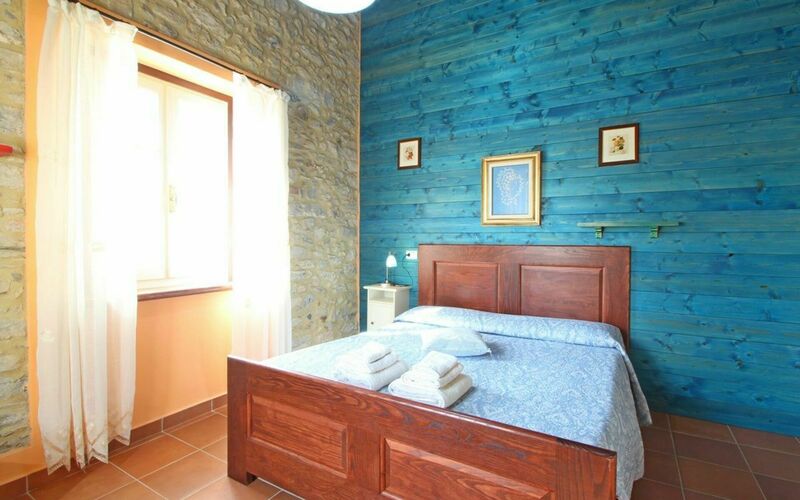 It 'located in a nature park in Garfagnana at about 1000 meters above sea level, in a secluded location with panoramic views and private pool. 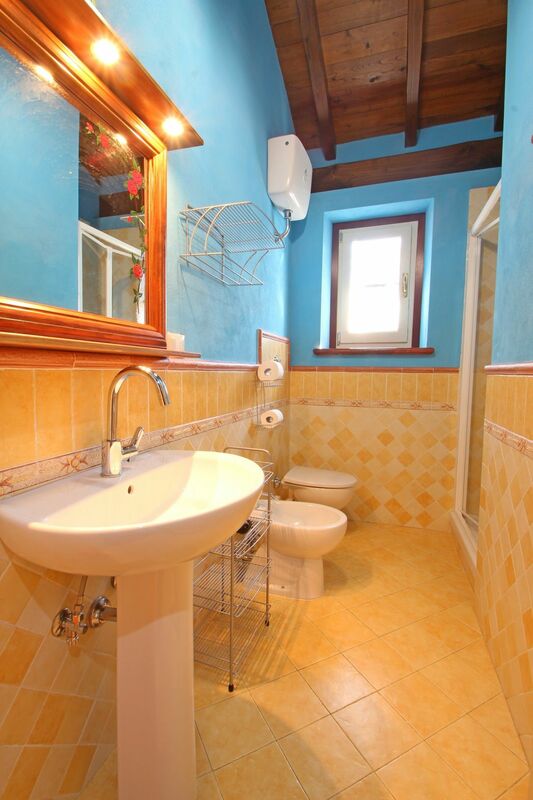 The first grocery store is 12 km, a supermarket must instead go down 40 minutes until you get to Lucca. 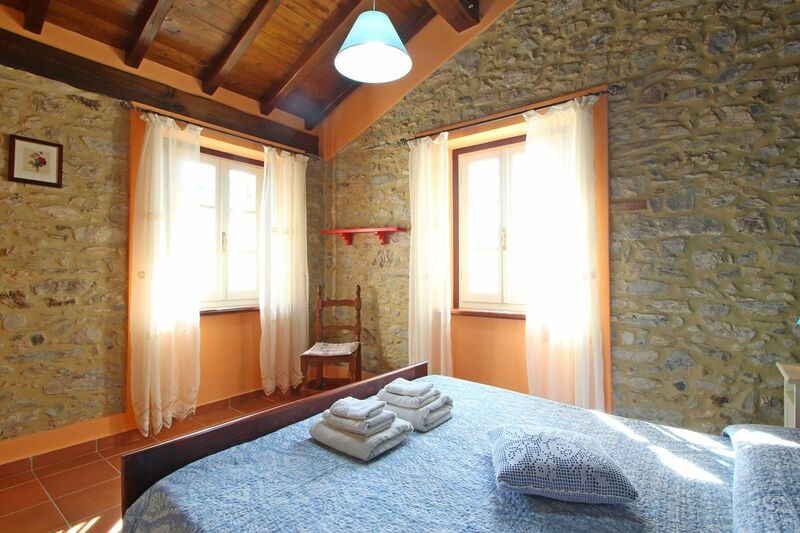 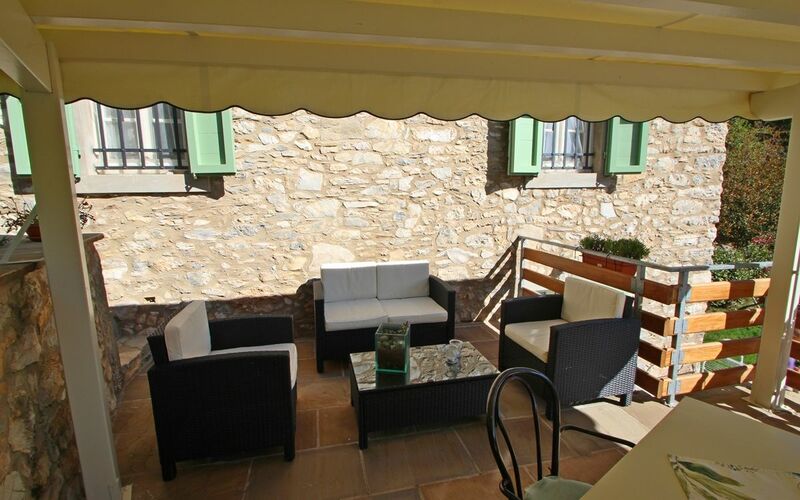 House Sara is ideal to regain strength and enjoy a total relaxation surrounded by nature. 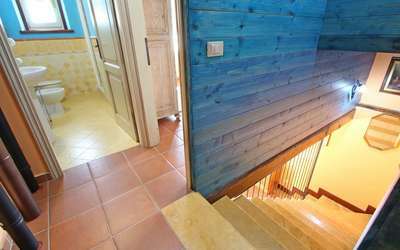 From the parking area some stairs leads to the house. 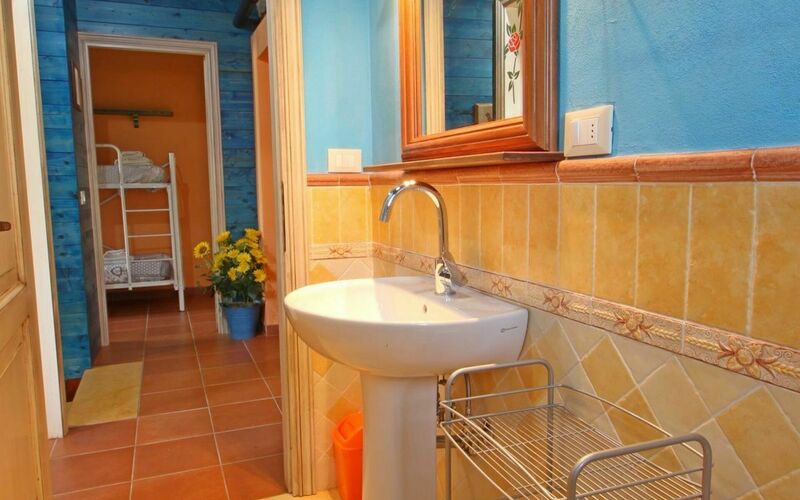 In front of it is a small garden with barbecue and a laundry area with washing machine. Going up a few steps you reach the pool area. 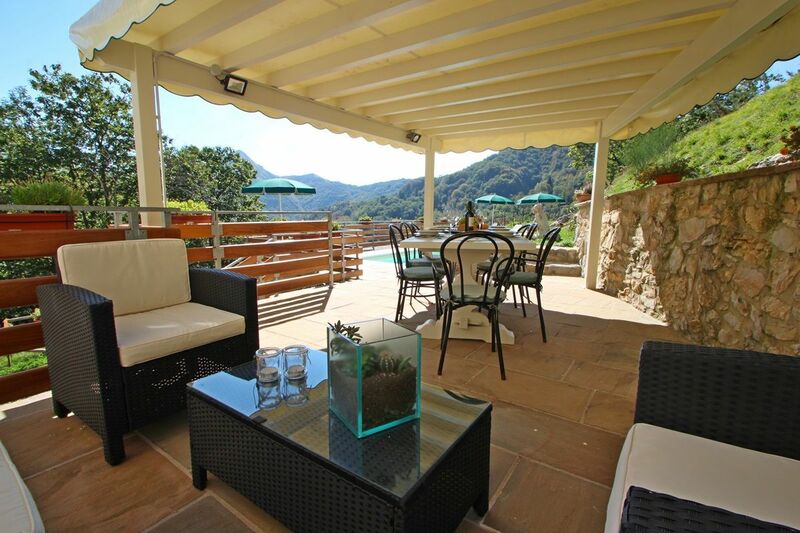 Here is a covered veranda with dining table and a relaxing lounge area. 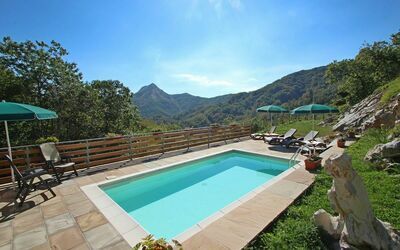 The salt water swimming pool, for the exclusive use of the guests, measuring 6 x 3 meters, 1.2 meters deep and open from May to September. 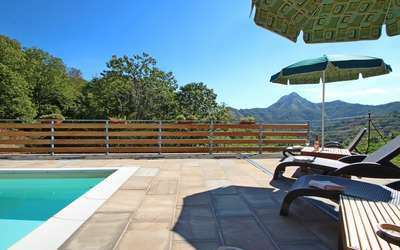 The pool area is equipped with sun loungers, parasols and deck chairs. 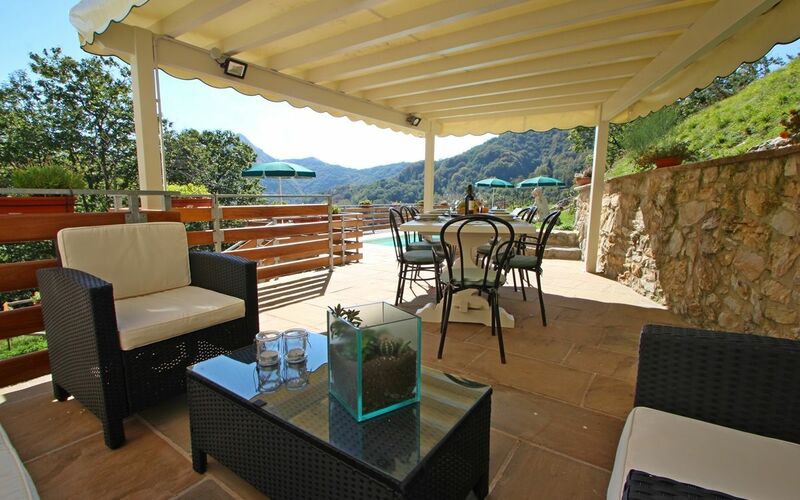 The entire property is fenced. 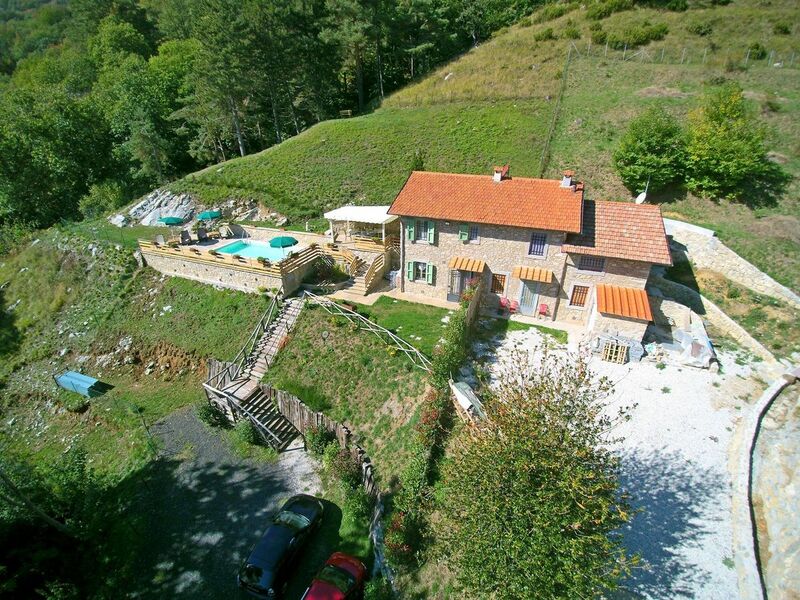 The last 500 meters of the road are unpaved and unsuitable for too low cars, sports or too large ones. 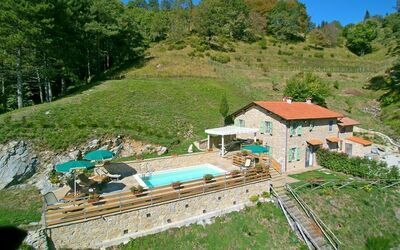 The portion of the house on the right side is the sister of the owner, only present on few weekends. 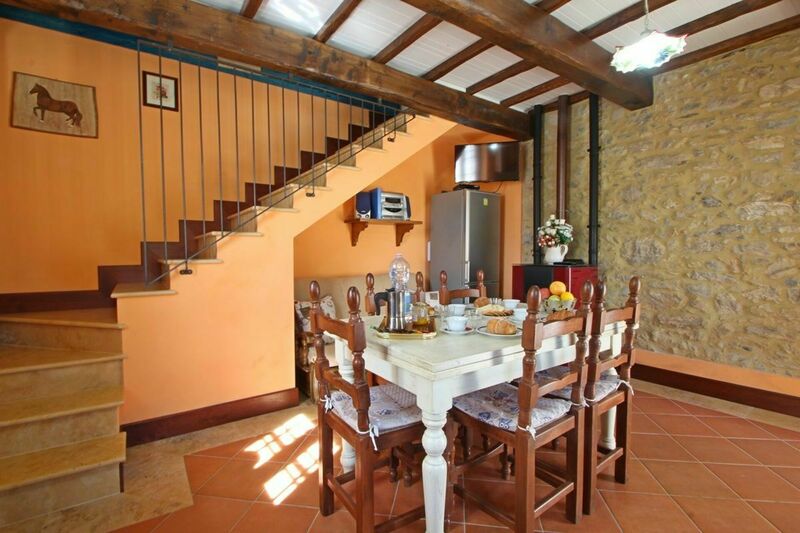 Holiday Home Casa Sara is distributed on two floors. 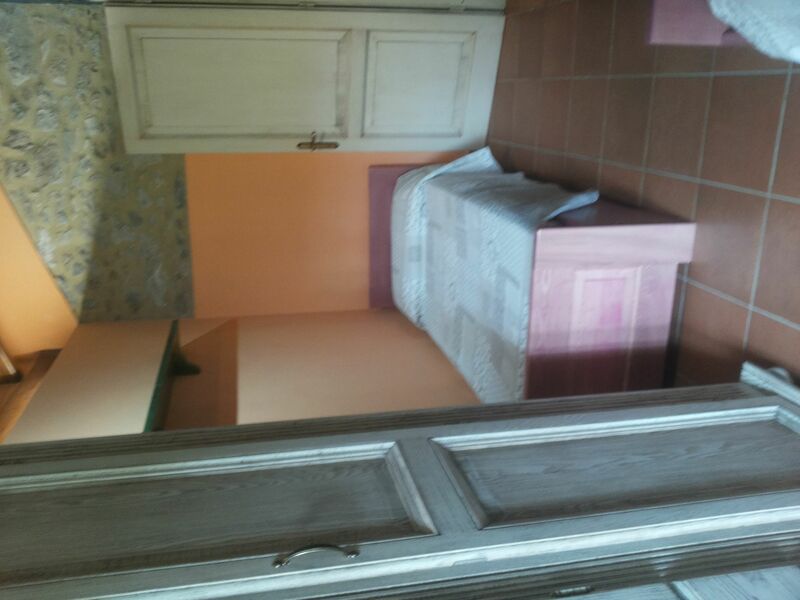 Ground floor : One room with Kitchen (4 burners, Oven, Italian Coffee machine, American Coffee machine, Toaster, kettle, dishwasher, fridge / freezer), dining table for 6 persons, sofa and TV SAT, pellet stove. 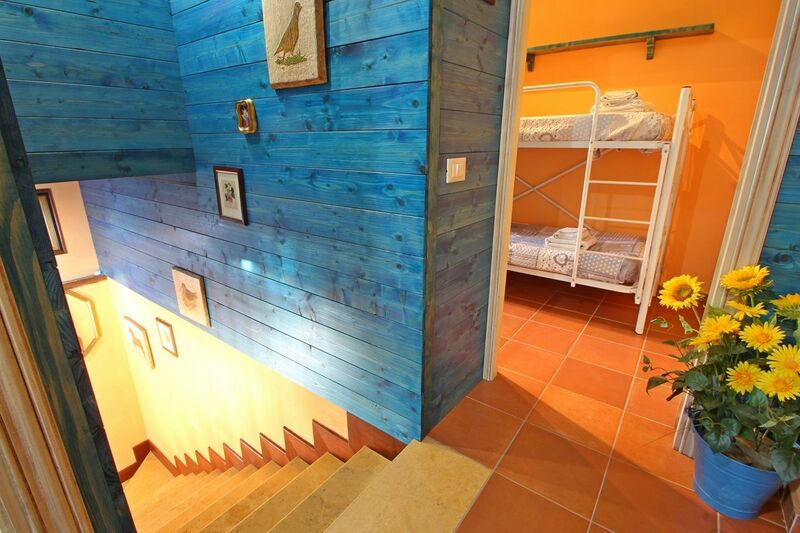 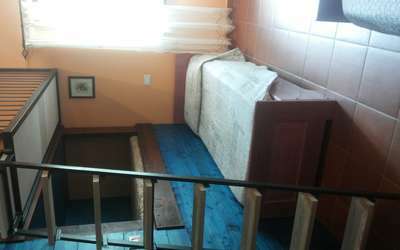 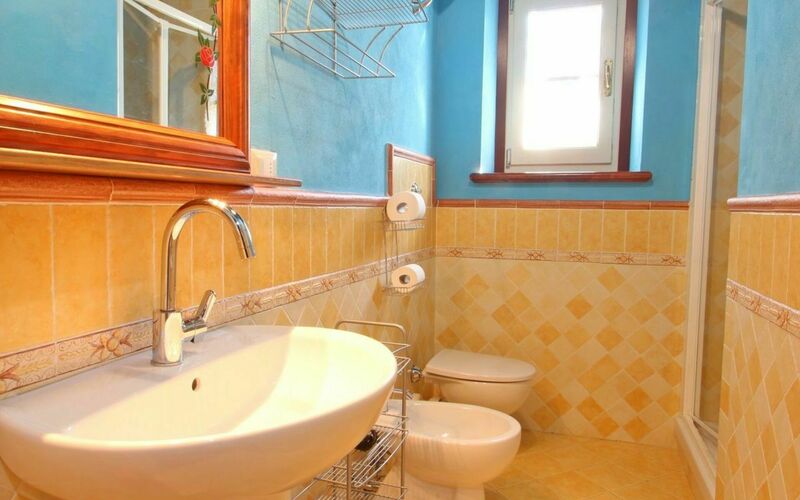 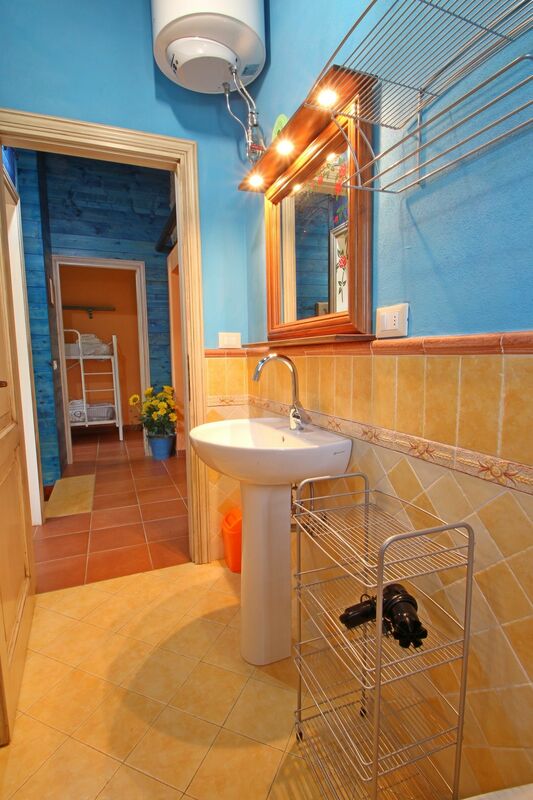 Going up the stairs you reach the first floor : bathroom with shower, double bedroom and bedroom with 2 single beds. 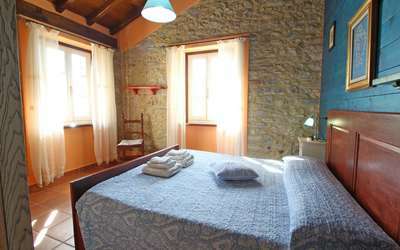 Bed linen and towels with weekly change on Saturday included in the price. 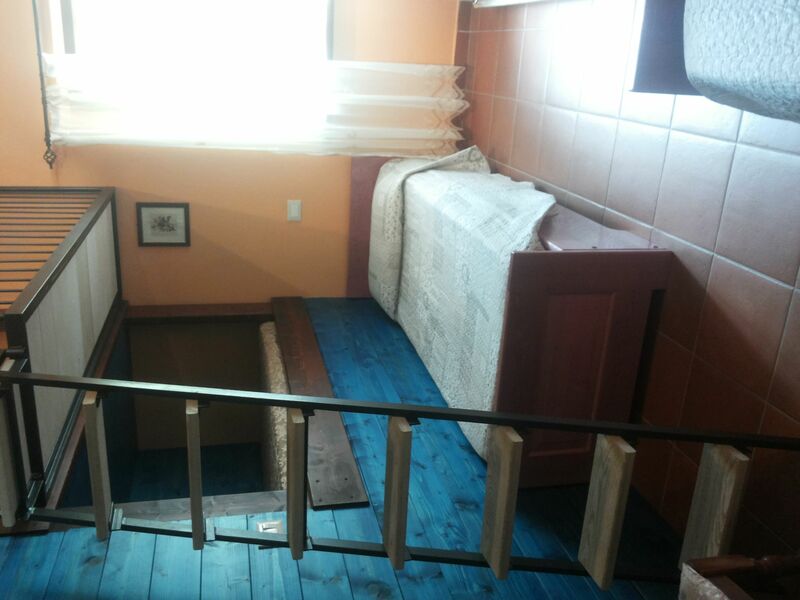 Weekly cleaning on Saturday included in the price. 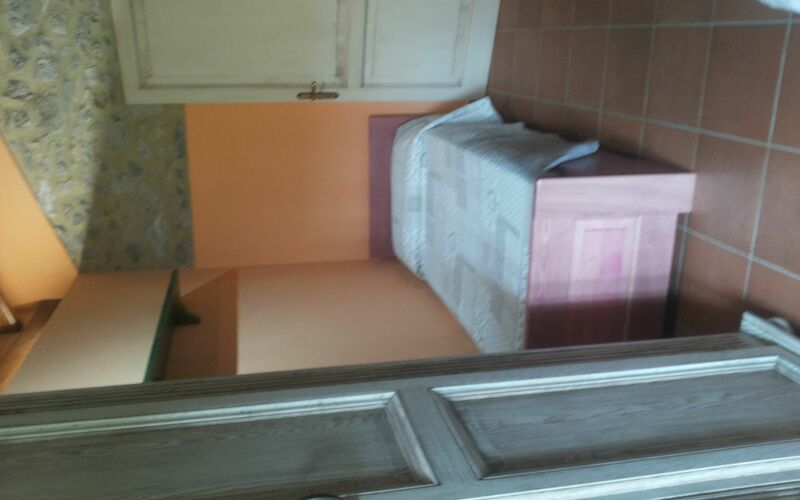 On request: baby cot and high chair for free.